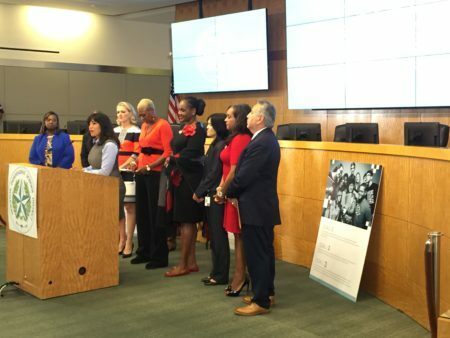 Starting in the 2019-2020 school year, Houston students can add a new holiday to their calendars to celebrate the lives and legacies of two Latino leaders. Grenita Lathan comments during a library dedication at Attucks Middle School, January 18, 2017. 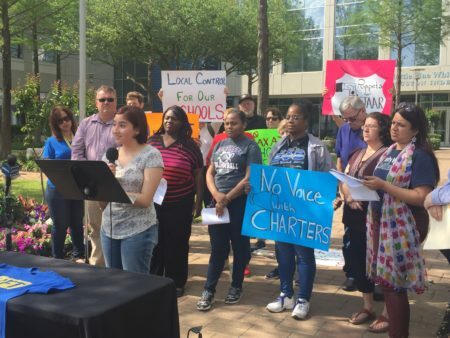 The Houston school board had two big ticket items on its packed agenda at its meeting Thursday night, and the board decided to hold off on both of them. It was a close 5-4 vote, but a majority of the Houston school board rejected the proposed $2 billion budget for next school year. While the district has to close about an $80 million dollar shortfall, several trustees criticized the spending plan for dipping into reserves too much, for not creating more equity and for being a “Franken-budget” cobbled together in difficult times. State law requires the Houston board to pass a budget by June 30. Board members didn’t vote or publicly address another major item — to consider naming interim chief Grenita Lathan as its permanent superintendent. 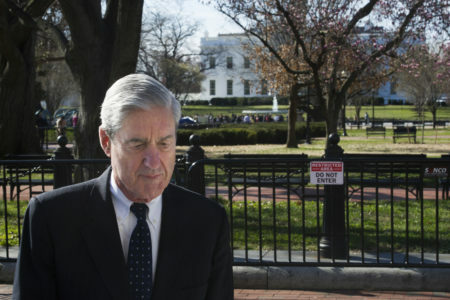 That was tagged for the board’s private discussion. Hispanic Awareness celebration at Moreno Elementary School, October 4, 2013. 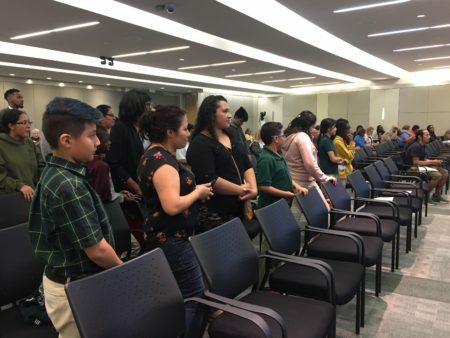 In other business, the Houston school board unanimously decided to honor two Latino leaders who won greater rights for farm workers. Starting in the 2019-2020 school year, students can add a new holiday to their calendars to celebrate the lives and legacies of the late Cesar Chavez and Dolores Huerta, who continues to advocate in her 80’s. Trustee Holly Maria Flynn Vilaseca brought the idea to the board. 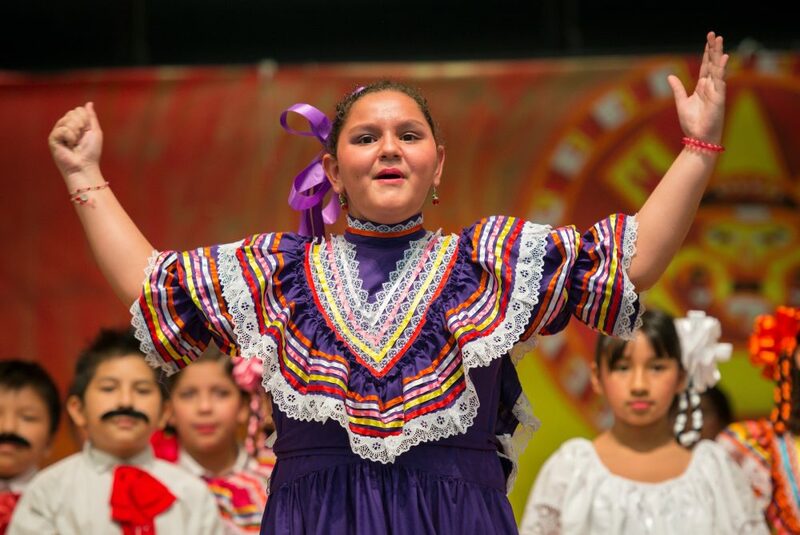 Just over 60 percent of students in the Houston school district are Hispanic, though it’s not the first Texas district to enact this kind of holiday. Earlier this year, the Fort Worth school board also decided to recognize the same two Latino civil rights leaders. And the board also voted to terminate employment with one of its most tenured principals, Bertie Simmons. Simmons led Furr High School for nearly 20 years and helped it win a national $10 million grant. However, she was removed last fall amid allegations she threatened to hurt students. 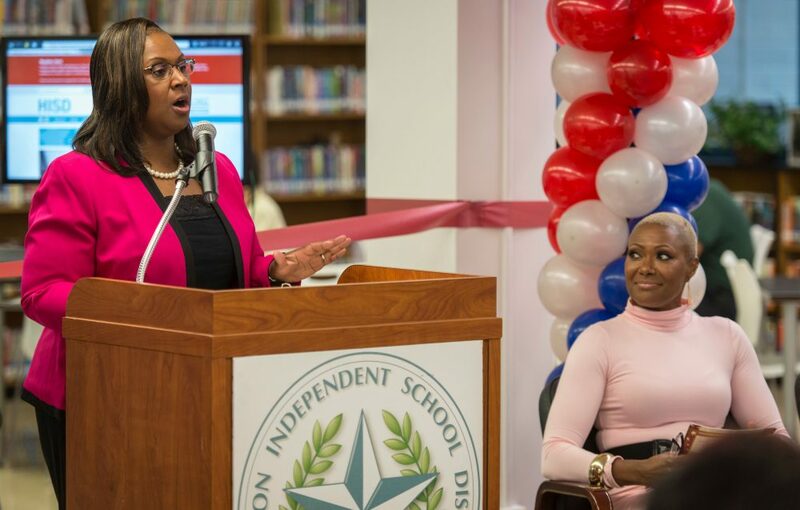 Since then, the Houston school district has said that it’s uncovered evidence of grade tampering and changing attendance records at the school.